When former Gov. Perry, Greg Abbott, and Dan Patrick, along with the Democrats, go around saying they stood against Common Core, here is proof they are NOT being honest. When they, (Texas Leadership) requested a waiver from the federal government from the mandates of No Child Left Behind (NCLB) they knew full well we were aligned to the Common Core National Standards. They just call them “College and Career Readiness Standards. Here is a link to the documented proof. It is a fact that Texas Students are falling behind in reading, writing, and math because of the mandated Common Core-aligned College and Career Readiness Standards. As reported by Breitbart’s Dr. Susan Berry here, Dr. Jim Milgram warned that students who are under these type of Math standards for more than 4 years likely will never recover. Additionally, Dr. Milgram warned the Texas State Board of Education that, in fact, the Texas College and Career Readiness math standards were worse than the Common Core. The very thing that is causing Texas student “outcomes” to be seen as a failure, the Common Core College and Career Readiness Standards, are what is allowing the Texas Education Agency (TEA) to come in and take over our public schools and eliminate locally elected school boards. Belew was also part of Gov. Rick Perry’s administration as an education policy and budget advisor. She was promoted to Team Leader and Senior Education Advisor for public education policy. As part of the education team, Belew helped to pass and implement legislation to ensure college and career-readiness standards for the state’s public education system. Texas was apart of the creation of the first College and Career Ready Standards and a part of the American Diploma Project. Texas has been implementing the template to fundamentally transform education from the beginning. While some worked to fortify the Texas Essential Knowledge and Skills (TEKS) to make sure they were grounded in direct instruction parameters rather than the constructivist, equity-based standards, there were major forces such as Texas Association of Superintendents (TASA) implementing the Global push for “High Performance Standards” being piloted, approved by the Texas Legislature using our tax dollars. In addition, the Texas legislature, under Republican control also passed legislation that clearly aligned with the agenda to shift from the “Mental” (Academics and Knowledge-Based Tests) to “Behaviors” (Performance Standards and Competency for the workforce). The driving force behind this transformation currently, is the Texas Association of School Administrators (TASA) and their New Vision for Texas Public Education. Funded with your tax dollars and legal because the Texas legislators passed SB1557. There is a radical education reform plan in place that is being implemented systematically by Republicans and Democrats alike. Learn about the ECS (Education Commission of the States) and exactly who is funding it. As I wrote back in April 2015 here, it was leaked before the last session that Gov. Abbott made the comment, he does not care what the grassroots think, he expected Texas Legislators in both the House led then by Rep. Joe Straus and the Senate led by Lt. Gov. Dan Patrick to pass his Pre-K plan, no questions asked. So who are the Texans representing Texas at those (ECS) meetings? According to the ESC website…. Interestingly, as noted on the Texas Public Policy Foundation (TPPF) website, Education Policy advisor Kara Belew was appointed to the Education Commission of the States. These people are not going to listen to WE THE PEOPLE. They are very well funded and trained to implement a plan to fundamentally transform America. Texas Public Policy Foundation’s legislative and policy history is very important, along with who their education advisors are because they are pushing property tax reform and education finance reform as if it is limited government and free market capitalism. Yet, the reality of TPPF’s policies and their history of coordination show they are promoting legislation and policy that is the antithesis of limited government and free market capitalism with NO adherence to the Constitution. In fact, the very policies and legislation they have championed are doing great harm to Texas students in the classroom and will have a very negative impact on Texas’ economy. Does TPPF support Public/Private Partnerships? They are very clear to state they do not accept government funds or contributions to influence the outcomes of their research. But, they clearly are funded by those who want to influence the policies, (rules and regulations) and laws passed by state legislators and Congress. Are they using “Deceptive Semantics”? Do you know the history behind TPPF? “I realized there wasn’t any intellectual capital in the state of Texas,” Leininger said. Fritz Steiger, who had been the public relations director for Wal-Mart before he was hired to run Leininger’s first foundation “Texans for Justice”, said of TPPF, it was modeled off of the national Heritage Foundation. He described TPPF’s work as being… to affect state government policy by swaying public opinion through academic research. Texas Public Policy Foundation over the years has heavily funded studies on issues such as tort reform, state tax policy, school voucher programs and criminal justice. John K. Andrews, a former president of the Texas Public Policy Foundation, said the foundation’s main mission in the early 1990s became the spread of the private voucher movement. Not only is TPPF supportive of “school choice vouchers” they are strongly supportive of charter schools (PUBLIC-PRIVATE PARTNERSHIPS). As noted in this post, How can we reclaim the potential of Texas public charter schools? Question- Why is Jeb Bush’s ExcelinEd, Texas Public Policy Foundation, Texas Business Leadership Council and Texas Aspires, which formed when Texans for Education Reform merged with Texas Institute for Education Reform, along with Educate Texas, and others pushing for MORE Public/Private, Blended Funding, Charter Schools in Texas? 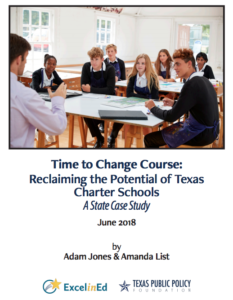 Davenport posted, “This review examines the biased report entitled Time to Change Course: Reclaiming the Potential of Texas Charter Schools by Adam Jones and Amanda List and funded by ExcelinEd (think Jeb Bush & DeVos) and the Texas Public Policy Foundation. The report is billed as a case study of the charter school authorization processes employed in Texas and the relationship between this process and the number of new charters accepted by the authorizer—in this case, the Texas Education Agency (TEA). The report is an explanatory study in that it attempts to identify a causal relationship between the authorizing process and the number and characteristics of approved charter schools. Adam Jones, author of the TPPF report is an advisor listed on the Safal Partners web site – the group that got the TEA contract. He was the COO at TEA for a long time. He’s a good one to add to the “web” of interconnected individuals and entities. How does TPPF feel about Gülen Harmony charter schools? On January 11 TPPF hosted a panel (all with ties to Teach for America (TFA) moderated by Emily Sass, TPPF school voucher proponent. FOLLOW THE MONEY!! There is a lot of money to be made when you destroy the funding structure of traditional Public Schools through property taxes. And, eliminate those who could potentially say NO, those pesky locally elected school board members. Yes, we are still a “Constitutional Republic”. That is if we can keep it? America’s students are now seen as an “investment vehicle”. Key players, influencing Leininger over the years are economist and politician, former Sen. Phil Gramm, and his wife, economist, Dr. Wendy Lee Gramm, who is currently the chairman of TPPF. Have you ever heard of the Glass–Steagall Act of 1933? The Glass–Steagall legislation was enacted by the United States Congress in 1933 as part of the 1933 Banking Act, and amended as part of the 1935 Banking Act. The Glass Steagall Act of 1933 was repealed in 1999 with the help of then-President Bill Clinton and Texas Republican (formerly a Democrat) Senator Phil Gramm. The excuse they used, free markets which any liberty minded person would agree with, but was actually an excuse to allow banking, Wall Street, Insurance (global insurance) to have a field day. 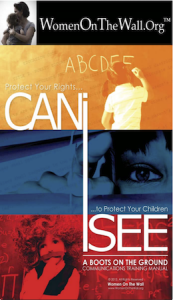 As I see it, there is deceptive semantics being pushed by the Texas Public Policy Foundation. They espouse a mission of liberty, individual responsibility, and free enterprise, all the while, pushing public-private partnerships and blended funding within a “Captive Market”, along with government regulated “consumption based” education (which is merely Jeb Bush’s Education Savings Account (ESA) legislation. They are, in reality, the antithesis of freedom, liberty, and local control. It is ALL about access to federal $$$ and controlling the American workforce within a global workforce model. American students have been set up to fail; intentionally, so they can come in with the solution to restructure the US economy. TPPF and their education policy advisors are strong supporters of Commissioner of the Texas Education Agency, Mike Morath. In Texas, Commissioner of Education Mike Morath was appointed by Gov. Abbott and confirmed by the Texas Senate to restructure the education system, allowing venture capitalists who see our kids as “investment vehicles” access to mine student data for profit. Question- Will we continue to allow them to restructure our Education system, using our kids and our tax dollars for profit? Click to watch the video below to hear what they are doing, in their own words. Monday, Jan. 7th was the opening of the 86th Texas Legislature. I believe it is extremely important we understand what has already been passed. President Obama’s Social Innovation Fund is administered by the Corporation for National and Community Service. “…three foundations have played particularly significant roles: the Rockefeller Foundation, Bloomberg Philanthropies, and the Laura and John Arnold Foundation…. all three foundations have funded the Government Performance Lab at Harvard, established in 2011, that helps implement and expand Pay for Success initiatives. The Human Capital and Economic Opportunity Global Working Group (HCEO). It is run by James Heckman, Stephen Durlauf, and Robert Dugger. As seen below, during Texas’ last legislative session, Sen. Van Taylor passed Math Innovation (SIB) legislation (SB1318) to get this ball rolling. Rep. Tan Parker (HB2014) carried the house bill. Knowingly or not, they are pushing George Soros’ agenda. Please note, it is Flávio Cunha, who wrote the white paper with Heckman, who the expert guest from Rice University who is testifying for Rep. Tan Parkers’ Math innovation social impact bonds. Thank you, Michelle Malkin and Tucker Carlson for their important coverage of the serious harm to American students from #EdTech profiteering off of Education data mining.